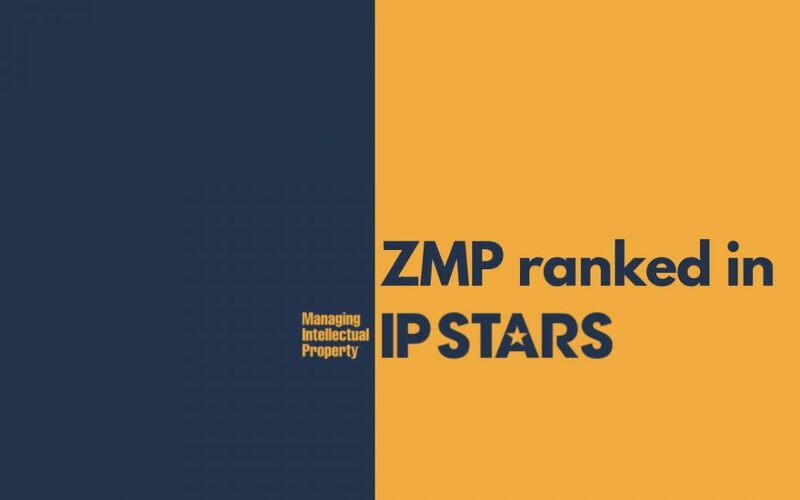 We are proud to announce that ZMP has been ranked in IP Stars! Congratulations to colleagues in all mentioned offices. You can find all the offices ranked in this link. Managing Intellectual Property IP STARS is the leading specialist guide to IP law firms and practitioners worldwide. Managing IP has been researching and ranking firms since 1996. This research has expanded over the years, with more than 80 jurisdictions now covered, making it the most comprehensive and authoritative analysis of the industry. IP STARS is not a directory of all firms offering IP services and therefore many firms and individuals, including those that participate in the research, are not ranked. Firms are ranked if all the available research information indicate they have the appropriate expertise and on the whole offer high quality services in IP.